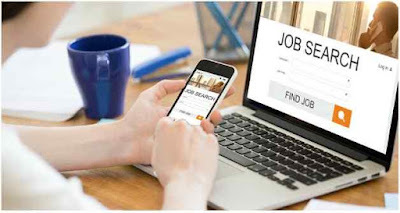 The virtual world of job search is growing very fast. On the Internet, you will find absolutely all the jobs such as for office work and remote work. But it often happens that a person is not well oriented because of various circumstances in this segment of the Web. Sometimes there is a great desire to work, but when you start your research, you realize that you cannot find what you need and do not know where to start. Freelance beginners often do not have the knowledge and skills to look for work remotely. Therefore, for a long time, remote work was considered unreliable and unstable. But now everything has changed a lot and, on the contrary, more and more people are interested in the opportunity to work as a freelancer and do a job search from a distance. Moreover, most people are faced with a situation where the results of a search on Google reach a million websites and friends or acquaintances who may suggest that something is not there. Obviously, the most popular direction in teleworking is the freelance exchange, but they are all different, with their peculiarities. But unfortunately, you can also find many internet advertisements related to remote work with pages of dubious reputation. And in the first phase, beginners are not always able to distinguish between bad and good, so there is always the risk of falling for an unscrupulous experience. Therefore, we would like to give a few essential advice to those trying to get a job. You should not avoid the usual job search pages. The big misconception is that only office work is offered on such sites. On the contrary, on these sites, you can find many vacancies in various professions online. The benefits of finding a job remotely on websites are that vacancies come directly from companies. And in case of successful work, it is possible to work with an official position, which is undoubtedly very important. Here, the job search is done without CV and it is necessary to ask the client a suitable job. It's on social networks, very often you can see suggestions for working remotely. Till date, many thematic groups have been created for freelancers, both on Instagram, Twitter, LinkedIn and on Facebook. Here you will find many articles and useful tips for finding work remotely, directly vacancies and much other useful information. Even in the same group of names in this project, everyone is constantly updating vacancies for remote work, which is also very convenient. And full of potential or original like shark hunting and others would certainly want to work with you. Do not clutter your CV with so many words, since you are not dealing with essay writing in your CV. Just keep it concise. If you feel that you cannot independently manage the search for work remotely over the Internet, you will be supported in this case by training on this topic. By learning the training, you will learn how to easily earn your first money online and how to properly navigate the search. Remote work that suits you. The excessive or under-estimated self-esteem are the two most common job search errors. If the first does not go with age, only the amputation of the head helps. But in the second case, you need training. Do not put yourself in any incorrect place where you do not want to work just to do new experiments. Thus, smart people first settle in the right company and wait patiently, and moving elsewhere in the business is much easier than refueling. After searching for a suitable vacancy, now an interview is an opportunity to show your best qualities to the interviewer, not only professionally, but also personally. But that's not all. Always remember that intelligence, kindness, politeness, and smartness is the key that everyone perquisites to open the opportunity door. Therefore, watch the situation through the eyes of the interviewer, judge that it is unbearable to hear their standard phrases memorized and all these ingenious details. Furthermore, focus on what did he want to talk about? About you, your problems, your interests. Subsequently, you need to answer them carefully so, the situation should be easily pushed in the direction you need to speak, and then it belongs to you. And with a new candidate, it's even easier, because every candidate likes compliments; they just have to be skillfully involved in the conversation. But do not overdo it, bad faith is always obvious. Now you know how to find a job on the Internet, even if you are a beginner. For today, it is not so difficult to search for proven resources. Naturally, independent exchange programs will always be the main source for searching remote workstations on the Internet. At the same time, there are exchange programs where newcomers can more easily find their first job on the Internet. Therefore, use all methods and tools to improve the results of the work on the Internet. And for those who think they need help to find a job remotely, you can take special training. In this course, you will learn the skills needed to work remotely and learn how to find a job online. Very often, it happens that the employer does not choose the most suitable candidate, but the one who does not know and does not know how but really working in his business depends on his neck. Okay, in addition to this, here is an awesome guide for you on ways to make money online easily; check it out here on 10 ways to make money online in 2019. Nice post...thanks for sharing with us.